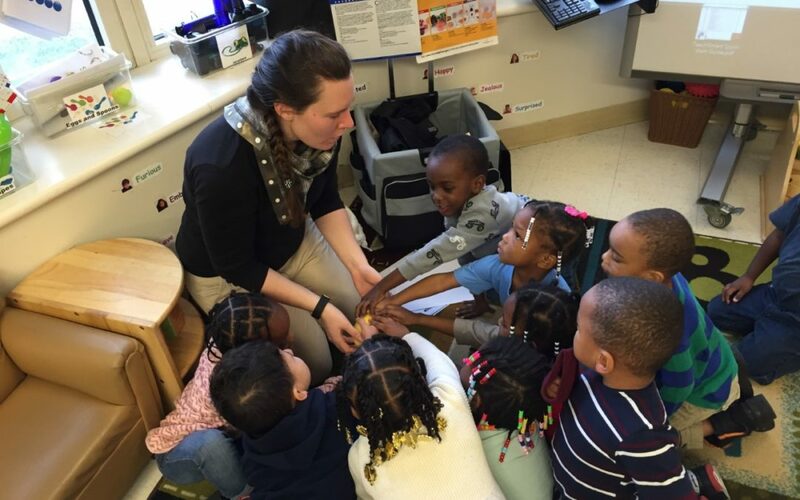 With a catchy song and dance and a few games, Kelly Parker, a representative from Ohio State University, made healthy eating fun for a dozen 3-5 year olds. Parker is part of the Northeast Ohio Regional Farm to School Workshop that’s run through OSU. 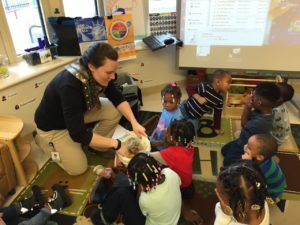 She visited a few of the Council for Economic Opportunities’ Head Start classrooms at the Lakeview Terrace Head Start center, to teach the students about healthy eating and healthy habits. She started her workshop with a guessing game. She asked the students to close their eyes and reach into a bag, then guess what they were feeling. They talked about the size, texture and temperature of the item inside, then took turns guessing what it could be. A lot of the students guessed a banana, but it was actually a summer squash! After the game, Parker and the students listened to the song “Color Me Healthy” which talks about different fruits and vegetables and the importance of staying active. 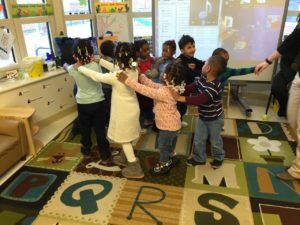 The group worked together to make up a dance to the song, then performed it for their teachers. 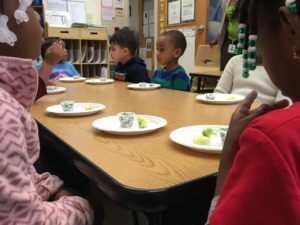 After the students worked up an appetite with their dance, they got to try the summer squash, broccoli and some spinach dip. They were pleasantly surprised at how delicious all those vegetables tasted! Thanks to Kelly Parker and the team at Ohio State University for making healthy habits fun!